As promised, here are the two Fall Gardens that I’m planning on right now. This garden is mostly a planting date test, as well as a test to see how much of the winter the spinach will still be harvestable. It will also be interesting to see which plantings of spinach will be harvestable first in the spring. Of course, the results are very dependent on what type of winter we have and how cold it gets how soon. 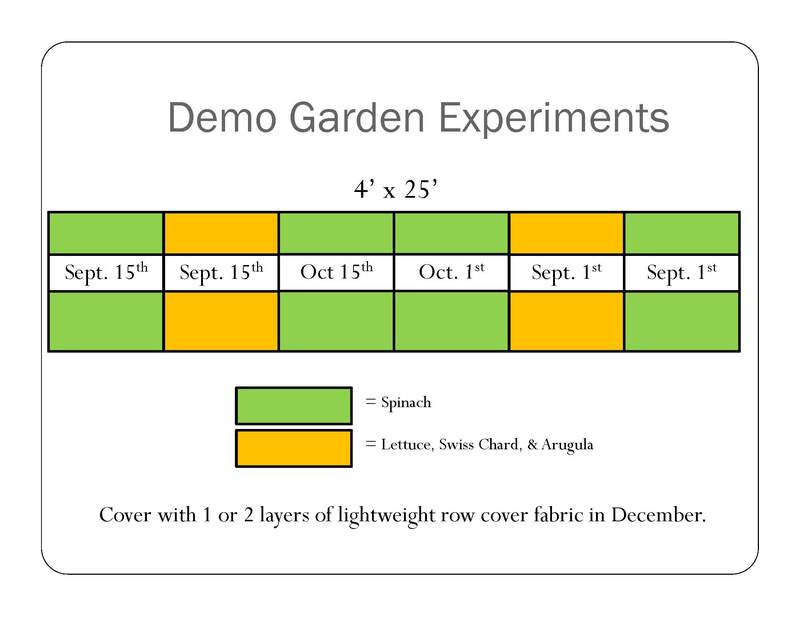 I’m planning to use either 1 or 2 thicknesses of a lightweight row cover fabric throughout the winter, since spinach shouldn’t need much protection. Our general recommendation for planting fall spinach is to plant from mid-August to mid-September and harvest by early November. I know we can go a lot later than that, so I’m definitely pushing the envelope on planting dates here. This garden will have a variety of root vegetables, including carrots, beets, fall radishes, leeks, and onions. I’ll probably also plant some bok choy or other Asian greens. Most of these vegetables are usually planted in early August for a fall garden, so waiting until early September may be pushing our luck. Or, we might go ahead and plant some of them a couple weeks early. The goal with these vegetables is to see how long into the winter they will retain enough quality to continue harvesting and also to see if any of them will overwinter for an early spring crop. 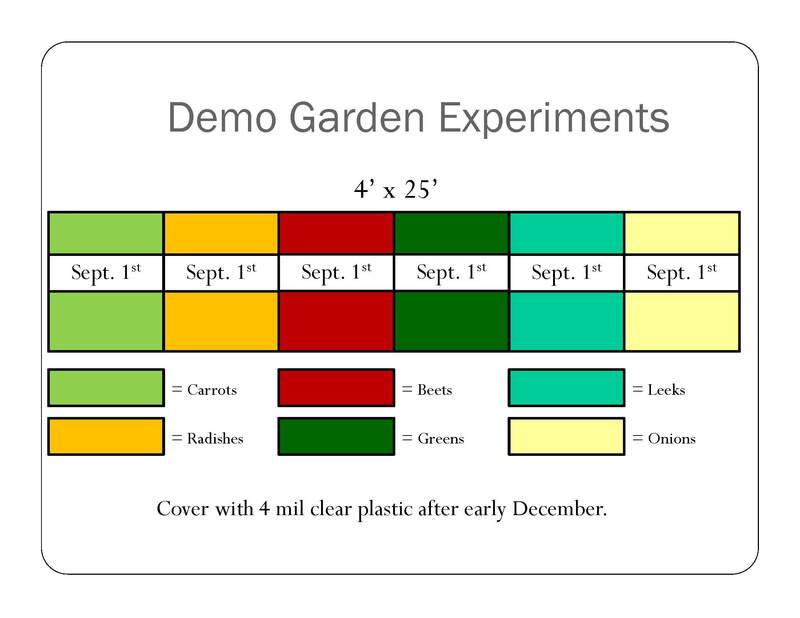 We’ll be covering this garden with a 4 mil clear greenhouse plastic in late November or early December, whenever it starts getting consistently cold. Posted on August 5, 2010, in Around the Garden and tagged beets, carrots, fall garden, Garden plan, garden planning, gardening, onions, spinach. Bookmark the permalink. 1 Comment.